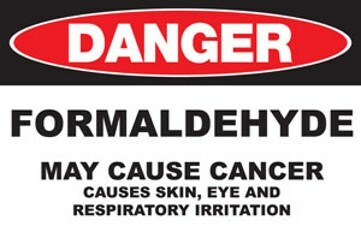 Formaldehyde isn’t something that we like to think we have contact with on a daily basis. The word hearkens us back to high school science class, but the reality is that formaldehyde is pervasive in beauty products. This seems surprising until we realize that formaldehyde is a powerful preservative and those creams and lotions we love need to sit on the shelf for a very long time. What’s to keep them from getting gross and moldy? You guessed it. One in five beauty products uses formaldehyde to keep them bacteria free and shelf-stable. So what’s the big deal? If you can’t tell that it’s there, who cares if you’re rubbing the stuff on your skin? The big deal is that formaldehyde can cause cancer, among other things. It is also a common irritant, leading to allergic reactions, skin irritation, and inflammation. In this article will will show you what products you should be cautious of, and how you can reduce your exposure. Soaps frequently contain formaldehyde or formaldehyde-releasing chemicals, especially when they are in gel or liquid forms, because these need more preservation than bar varieties. 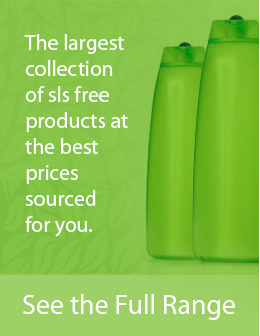 Softsoaps and Irish Spring brands both frequently test with high levels of formaldehyde. Formaldehyde containing products really came into the spotlight in 2010 because of the popular ‘Brazilian Blowout’ hair straightening treatments. Although they claimed to be formaldehyde-free, the FDA announced that they actually contained extremely high levels of formaldehyde that were causing respiratory issues and skin problems in salon workers. The styling treatments lost credibility, but formaldehyde continues to be an important ingredient in most hair relaxers. Combined with the heat of their application, these products release formaldehyde into the air where it is consumed in its most dangerous form: gas. Nail polish, nail polish remover, and nail hardeners often have extremely high levels of formaldehyde. In fact, it is common for them to contain up to 5% formaldehyde in its liquid form, formalin. This is a significant percentage— high enough that it would be banned for cosmetic use in Europe, but is perfectly legal in America. It’s an unfortunate fact that fragrances contain some of the most questionable ingredients of any personal care products. Not only do these ingredients not need to be disclosed by the manufacturers, but there are literally dozens of them per bottle. Unfortunately, formaldehyde is frequently one of them. And since formaldehyde is most dangerous when it is inhaled, it logically follows that formaldehyde in perfume is not ideal for your health or your body. How long does it take you to go through a compact of foundation? Chances are its longer than you would ever let food sit out in your kitchen. The ingredients in most makeups aren’t necessarily any more shelf stable than the food you’re eating, which means they have to be preserved somehow. Formaldehyde is usually the answer. The formaldehyde releasers are also perfect for makeup because they enable the formaldehyde levels to remain fairly constant over time, even as you are applying them daily to your delicate face. Don’t forget that the first reaction people usually have with formaldehyde is in the form of dermatitis and skin problems. Could your makeup be causing your acne? If it’s loaded with formaldehyde, then that could possibly be the cause. You would think that there would be some kind of extra safety precautions taken on baby products, but sometimes those are the most heavily saturated with petro-chemicals! 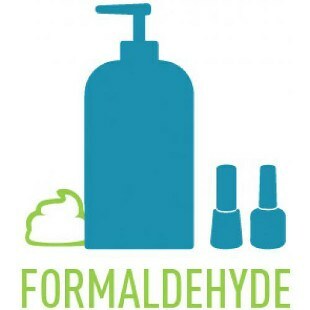 Baby wipes and baby shampoos are major sources of formaldehyde. In fact, in a recent test of the most popular baby products, over half of them contained either formaldehyde or dioxane, not chemicals you want near your baby! In this test, every major brand fell short in at least one of its products. Again, since babies are so sensitive, there should not be carcinogenic skin irritants in their products! Formaldehyde in its pure form is actually a gas, meaning you are likely inhaling it without even knowing it when you use products that contain it. Experts disagree about the amount of formaldehyde that is safe to use in cosmetic products, but the problem is these products aren’t just used every once in a while, and they aren’t the only sources of exposure. Continued use and multiple sources all increase the risks of negative side effects. It only takes a very small amount to cause dermatitis in individuals with sensitive skin, who then have to go out and buy more products to try and fix the problems caused by their first products! The cycle seems endless. A much better option is to just avoid them. Any of these chemicals can produce formaldehyde in your products, and they simply aren’t necessary. There are better preservatives to use, or better yet, make your own beauty products and keep them fresh on your own! It’s true that we live in a society that is overrun with harmful chemicals! Don’t be discouraged though. Even though there are so many bad products, there are better ones coming on the market, or safer alternatives that you can use at home. You can use the Environmental Working Group’s Skin Deep Database to easily check products. That way you are informed before you make your choice and before you pay a company that doesn’t have your best interest in mind. And even though formaldehyde and other dangerous chemicals are all around us, we can still limit our exposure in practical ways by choosing what we purchase. As you endeavor to run a cleaner and less toxic life, good luck! Know that there are many more beside you who are choosing to live their lives toxin-free and that it’s definitely worth it.